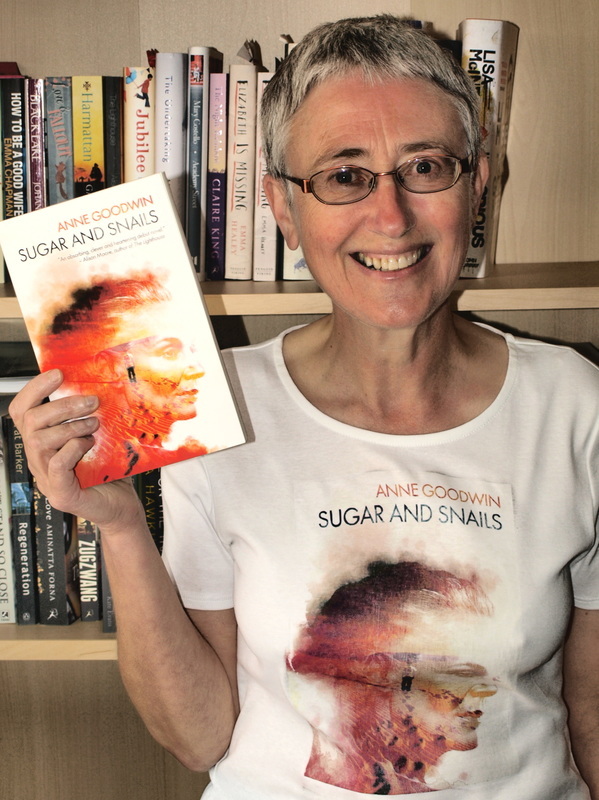 In this post I am very excited to introduce Anne Goodwin sharing tidbits from her debut novel Sugar and Snails, published just last week by Inspired Quill. It is already receiving rave reviews and I am happy to add my voice to those in praise of it. Anne and I have been friends for the best part of two years. I can’t quite remember just how we met but I do remember it was on Twitter and that we hit it off almost immediately. I followed up one of our Twitter conversations with a post and we haven’t looked back. 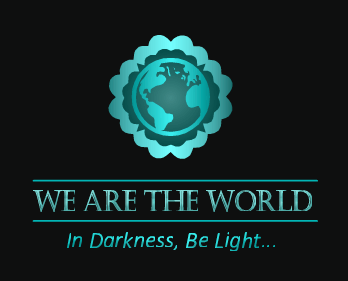 We have enjoyed many wonderful discussions on each of our blogs, and the blogs of others. With Anne’s background in psychology and mine in education there is considerable opportunity for a meeting, as well as divergence, of minds. I learn from her, I think, as much as she learns from me. Or should that be the other way round? On her blog Annecdotal Anne shares reviews of novels she has read and her thoughts about and understanding of the writing process. I have read some of Anne’s recommendations, including “The Examined Life” by Stephen Grosz, which stimulated a great discussion on my blog, including a first guest post by Anne. 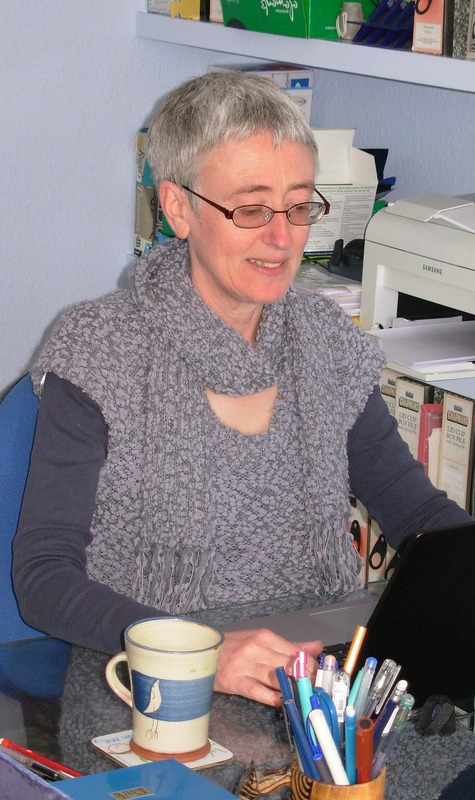 Anne is also a fabulous teller of short stories with over sixty published either online or in print. I must confess I have not yet read all of Anne’s stories but have thoroughly enjoyed each I have read. I think she has a gift for a surprise ending, though she does not employ the technique in every story. Her style is easy to read with a natural flow of language. Her portrayal of characters shows a depth of understanding that may be attributed to her background in psychology, but the variety of settings and topics displays a much broader understanding of the human condition in different environments and from different cultural backgrounds. It is my great pleasure to hand this post over to Anne. The year I turned fifty, I wanted to do something special, but a party really wasn’t my thing. Instead, I celebrated with a long distance walk: 190 miles across northern England from the west coast to the east. As the route begins only a few miles from where I grew up, I took the opportunity to meet up with a bunch of old school friends the evening before I set off. About a dozen of us got together for a meal in the pub we used to frequent after school. I’d kept in sporadic touch with a few of the women over the years, but some I hadn’t seen since I was fifteen. Although there was some lively conversation, I spent a lot of the time sitting staring, overwhelmed by how I could detect within these middle-aged faces the teenagers they’d once been, and the pleasure of being back among them. After hiking across three national parks, meeting up with various friends and family along the way, I reached my destination at Robin Hood’s Bay, exhausted and exuberant. Back home, with a couple of days free before returning to work, I began writing the novel that was to become Sugar and Snails. Like many writers, I’m an introvert. I relish my time alone. I need to be able to withdraw into the privacy of my own mind to reboot. But friendship is important to me as well. Those two and a bit weeks of reconnecting with old friends served as a reminder of that, and also that, in the right form, sociability can revitalise me too. It felt so important I dedicated my novel to the coast-to-coasters and old school friends. Yet it wasn’t until very recently that I realised that my novel was itself a celebration of friendship. Of course I’d given my main character friends but, in my head, I didn’t distinguish them from other people who drive the plot forward: a troubled student; her difficult boss; the social worker who found her a place at boarding school at fifteen. Maybe, because Diana herself doesn’t fully trust her friends, I wasn’t able to appreciate them either. Two of her friends are crucial to the story and, although they never meet, they are brought together strongly in Diana’s mind early on. Attending a dinner party to mark the forty-fifth birthday of her best friend, Venus Najibullah, Diana is asked to pop upstairs to tell Venus’s daughter a bedtime story. In response to the seven-year-old’s insistence on a story about “when you were a little girl going on adventures”, Diana finds herself lost in the memories of Geraldine Finch “the girl who ruled my childhood”. As with many childhood friendships, Diana recalls an intense connection with Geraldine as the pair absorbed themselves in dressing up for role-play games. But as they approached their teens, Geraldine proved fickle, neglecting her playmate in favour of other friends, unless there was something she wanted. The friendship ends abruptly in what appears to be a betrayal, followed by Diana’s departure for boarding school a few months later. But it would be premature to regard this strand of the novel as about the dark side of female friendship. From the vantage point of adulthood, Diana might come to view this childhood friendship differently, just as the reader might gain a different perspective on learning more about the character of Diana. On my first Sunday night at university, I was en route from the bathroom to my study-bedroom in the student halls, clutching a damp towel and my quilted wash-bag to my chest like a shield. My gaze levelled at my fluffy primrose slippers peeping out from under the hem of my stripy galabeyah as I shuffled along the corridor. I didn’t notice the other girl until I’d almost bashed into her: tall, with a cascade of ebony hair and skin the colour of butterscotch. I made to move on, but the girl blocked my path, looking down her long nose at me from beneath heavy eyebrows: “You do realise that’s a man’s galabeyah you’re wearing?” Her voice was as haughty as the girls’ at Dorothea Beale, with an exotic lilt that brought to mind the rhythms of Cairo. No doubt I blushed. At boarding school I’d kept it hidden in my trunk. But university promised another chance and, besides, who was going to be able to tell the difference between a traditional Arab shift and an ordinary nightgown? Who, apart from this arrogant girl who was scrutinising me like I was an exhibit in the Egyptian Museum? Yet, although they become close friends, and remain so for years, Diana can’t tell Venus the full story of her trip to Cairo, fearing rejection if she does. She’s become so accustomed to presenting a false self to the world, she genuinely wouldn’t know how to share the secret of her past. Over the course of the novel, she has to take a risk to discover whether she can trust Venus with a more authentic version of who she is. When Norah first offered me a guest slot on her blog, I thought I’d write something more closely tied in to the theme of learning. Yet when she showed me the draft of her lovely introduction, I knew this was the right way to go. To both give and receive friendship is something best learnt through experience but, to do so, we have to be prepared to take the risk of being rebuffed. 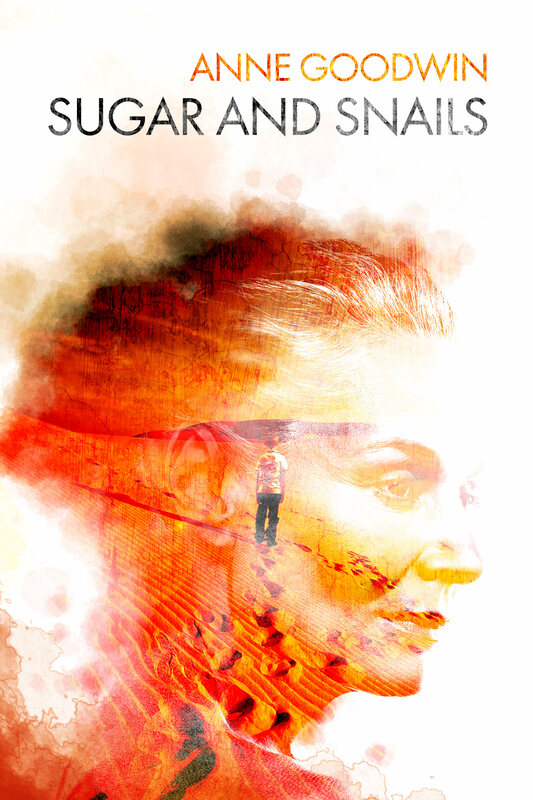 Norah is a prime example of the wonderful new friends I’ve found through writing, and I’ve been especially touched by the support I’ve received from friends, old and new, online and off-line, as I publish my debut novel. Tonight I’ll be at the second of my book launch parties along with a few blog/Twitter friends I’ll be meeting in person for the first time. Norah can’t be there, but I’ll be conscious of her presence in spirit, as well as that of other dear friends from across the continents. A few of those “old school friends” to whom I have dedicated my novel will be there, however, closing the circle of friendship that is a central theme both of my novel and my journey to write it. Anne Goodwin writes fiction, short and long, and blogs about reading and writing, with a peppering of psychology. 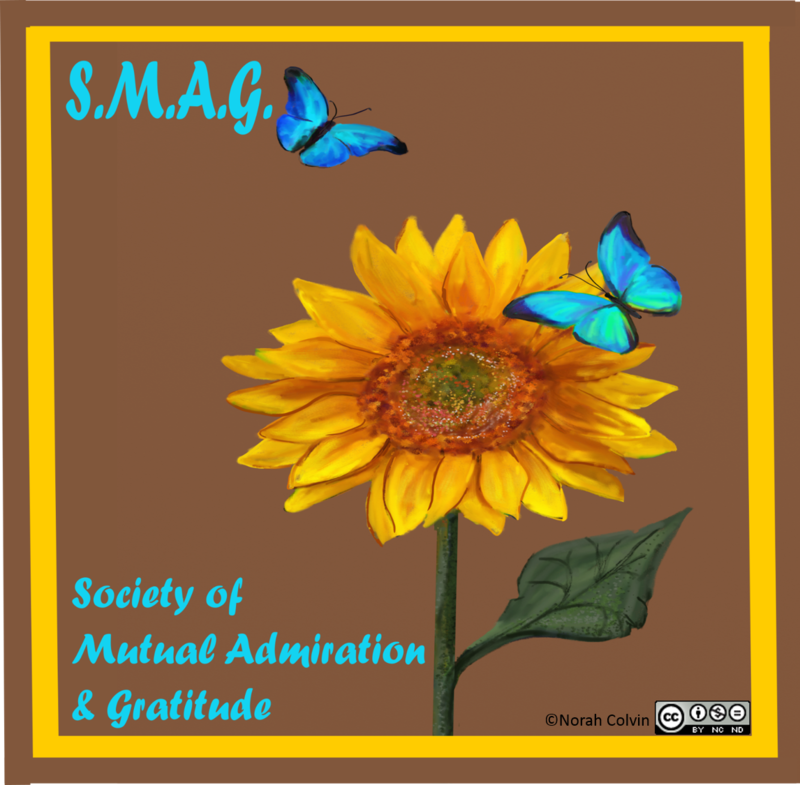 Her debut novel, Sugar and Snails, was published last week by Inspired Quill. Catch up on her website: annethology or on Twitter @Annecdotist. Thank you, Anne, for sharing your thoughts. I am delighted to join in the excitement of your publication celebrations. I have thoroughly enjoyed reading Sugar and Snails and am happy to recommend it to others. 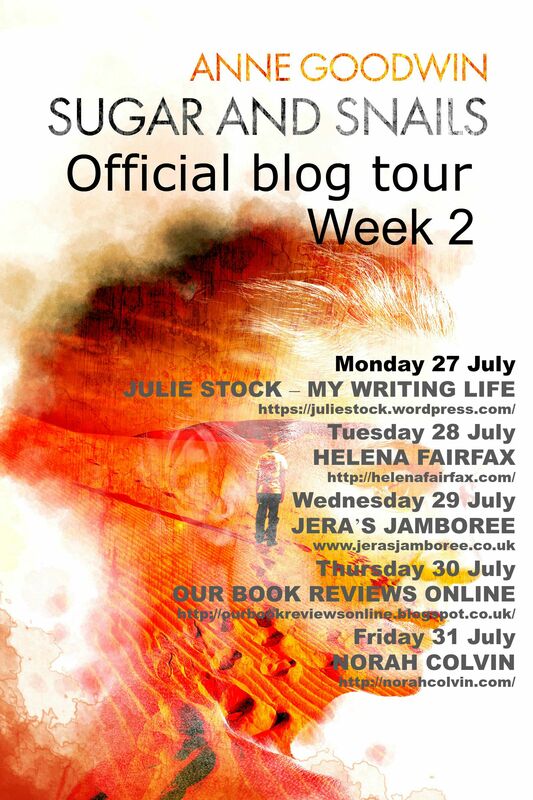 This entry was posted in Blogging, Celebrations, Creativity, Education, Writing and tagged Anne Goodwin, blog tour, book launch, debut novel, Friendship, publication, short stories, Sugar and Snails, travel, Writing on July 31, 2015 by Norah. Examining praise: Stephen Grosz – the third instalment! Earlier this year, after reading 7 Reasons Why Lovers of Fiction Should Read The Examined Life by Stephen Grosz on Anne Goodwin’s writing blog, I decided the book sounded too good to resist and promptly listened to it as an audiobook on my commute to and from work. I was delighted with Anne’s recommendation, and like her, found the book compelling reading and thought provoking. So much so that I wrote a post about it: A book worth reading: Stephen Grosz “The Examined Life”. However the chapter that captured my attention and challenged my thinking more than any other was the one about praise. I also blogged about this: Seeking praise: Stephen Grosz revisited. My post about praise got Anne Goodwin thinking further about this issue and she was able to delve into it more deeply with her background in psychology. 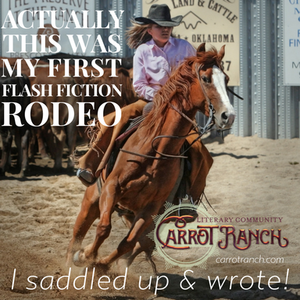 She has very generously written this guest post to share her thoughts. Although I was enchanted by The Examined Life from the first page, I glossed over the chapter on praise. Reading primarily for the parallels between these therapeutic case studies and reading and writing fiction, I didn’t stop to analyse my reaction, to acknowledge I was challenged by the suggestion that praise could be detrimental. Perhaps I dismissed this chapter as a reaction to the rarefied atmosphere of that cosy part of North London that is the hub of British psychoanalysis. In my neck of the woods, as reflected in my flash fiction piece, Peace-and-Quiet Pancake, I’m more concerned about a shortage of praise and encouragement than an excess. I was initially disappointed when Norah mentioned on Twitter that, with over thirty chapters to choose from, she’d decided to blog about the chapter on praise. Yet her wonderful post showed me what I’d missed in my initial (defensive) reading and inspired me to go back to the book and ponder the depths of wisdom within those four and a half pages for myself. In suggesting we rethink what’s best for our children, Stephen Grosz calls into question where our ideas of good practice originate. We tend to respond to the mistakes of our forebears by striving to do the opposite, so those of us who suffered from a dearth of praise ourselves might be inclined to lavish praise on the next generation. Yet we can become so fixated on turning our backs on the approaches we know from experience to be unhelpful, we’re blinded to the potential pitfalls of the alternative path. Cutting back on praise feels treacherous, like siding with the harsh disciplinarians of days gone by. Stephen Grosz points us towards a third way. Behavioural psychology shows that targeted rewards, either tangible, or intangible like praise, increase the frequency of desired behaviours. Rewards are actually most effective when they’re doled out intermittently, which might be one argument (although not the author’s) for soft-pedalling on the praise. Behavioural strategies are invaluable for introducing the necessary structures and routines in which children can prosper and learn. However, they can also result in the over-controlled and compliant child, one who is well versed in pleasing adults but struggles to think for him or herself. Stephen Grosz suggests that parents and educators can become as addicted to praise as these children. The mother who continually tells her child she is good might be vicariously praising herself. Underlying this might be a lack of confidence in her own parenting skills and a difficulty accepting her child as a separate person, with potentially different values and preferences. This is unlikely to enhance the child’s confidence and self-esteem. He also cautions us to be wary of praising children for what they are rather than for what they do. He cites a study in which, consistent with attribution theory, children praised for their effort rather than their intelligence, developed a more positive approach to problem solving. We can always put in more effort, but if we believe success is down to stable and unchangeable factors we might be less resilient in the face of the failure we will all, however talented, meet at some point in our lives. What the author recommends is not a return to a pedagogy of threat and punishment, but a third position where the adult is benignly attentive to the child and curious about what he/she is doing. The child who believes that an adult is genuinely interested in their ideas, thoughts and feelings, is likely to develop a strong sense of agency and self-worth. While this might seem a radical approach, it’s not dissimilar to the behaviour of a tuned-in mother who watches over and mirrors her baby’s moves. It’s also the stance taken by the psychoanalytically orientated psychotherapist. This is familiar ground for me, but I didn’t recognise it on an initial reading. Having already decided I loved the book from hearing snippets on the radio, I was reading it for what I could praise. I hope it wasn’t empty praise, but I was unwilling to engage with parts that were hard to swallow. On the second reading, my stance flipped to critical, almost punitive, focusing more on what was missing from the chapter than what was actually there. Now this process of putting my thoughts into words has brought me towards the position of curiosity and attentiveness I wish I’d had first time round. Whilst other readers might be less defensive, it does make me wonder, if it’s a struggle to reach this position in relation to a text, how difficult might it be to apply this learning in the real world and on a larger scale? On a sociopolitical level, we might resist this understanding because of conflicting views as to what education is for. While parents, politicians and educationalists might all claim to value individual expression and personal growth, this has to be weighed against an equally strong pressure for the achievement of standardised performance goals. On the individual level, as Stephen Grosz says in his final paragraph, being present with others is hard work. Therapists have their own therapy in addition to training and supervision; parents striving to do a similar job with only their experience of their own parenting to draw on could struggle to find the position of attentiveness beyond both praise and chastisement. Furthermore, for the child entering school knowing only neglect and criticism, a teacher’s benign curiosity could be experienced as threatening, just as the neutrality of therapist can provoke anxiety in his or her client. Children who have never been praised, even for attributes outside their control, might have no concept of their own ability to impact on their environment. Does the busy classroom teacher have the resources to be truly present with them in the way they require? Thanks, Norah, for challenging me to revisit this chapter and for the invitation to rework my comment into a guest post. For those who’ve had the patience to stay present this far, I look forward to your reactions. Thank you Anne for the insight and challenge you have offered with much for us to think about. I reiterate Anne’s invitation for you, the reader, to share your thoughts on this topic, and suggest you head on over to Anne Goodwin’s writing blog (Annethology) for a great assortment of interesting fare. 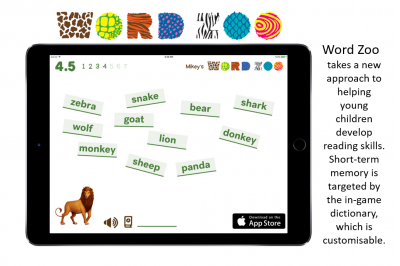 This entry was posted in Early childhood education, Education, Family, Favourite reads, Self esteem and tagged Anne Goodwin, annethology, parenting, praise, psychology, Stephen Grosz, teaching, The Examined Life on February 16, 2014 by Norah. Singing is a wonderful gift. To be able to entertain oneself and others with no instrument other than one’s voice must give enormous pleasure. But I can only imagine the joy it must bring, for I am no singer. When I was at school and we were all lined up and squished in on the stairs performing for parents in our end-of-year concerts, I was told to mouth the words. “Don´t worry that it´s not good enough for anyone else to hear. I was told to not sing, for it was not good enough for anyone else to hear. I accepted the verdict without question, as was expected of us at school, and mouthed the words. Of course, my school days were long over before Joe wrote his wonderful song, and maybe no one since then has been subjected to the same humiliation. Over the years various family members and friends have tried to be encouraging but their words have seemed hollow, for I “knew” the truth to be otherwise. One family member even told me that, when I “sang” nursery rhymes, I sounded just like Patsy Biscoe. But that’s not true. Patsy has a beautiful voice. You can listen to her here. Sometimes it is difficult to not sing along for music is so inviting, often almost demanding that one join in. In an early childhood classroom, music is a very important part of the day; and as an early childhood teacher, I incorporate music and singing into the program, always at the beginning and end of the day, and many times in between. I have blogged about this before here and here. Fortunately for me, and the students, music is so readily available on CD or the internet, that finding songs for the children to sing along with is no longer a problem. I apologise here to all the students who have had to suffer my joining in and “singing” along with them though, when I couldn’t resist the temptation. I must admit that none of them ever complained when I joined in. But I have no idea what they went home and told their parents either! I believe strongly in the power of positive encouragement to improve children’s self-esteem, confidence, willingness to have a go, and learning outcomes. I also know that a negative attitude encourages children to have a negative attitude towards themselves and their abilities, decreases self-esteem, erodes confidence and creates anxiety and a fear of trying new things or of having a go. “The Pygmalion effect, or Rosenthal effect, is the phenomenon in which the greater the expectation placed upon people, the better they perform. The effect is named after the greek myth of Pygmalion. Surprisingly I had never thought of this in relation to my singing disability, until recently. Engaged in a Twitter discussion with Anne Goodwin (@Annecdotist) and Caroline Lodge (@lodge_c) I mentioned that I listen to audiobooks on my drive to work. Anne replied that she listens to music on long journeys, trying to “fix choral music in my head”. I had never thought of my singing disability as a learned disability. I had always thought of it being a physiology issue and, later, perhaps a hearing issue. I am not very good at mimicking vocal (other than speech) sounds, or at identifying which note, of two given notes, is the higher or lower. I did enrol in a brain training program which included aural exercises involving recognition of higher or lower pitch. While I did make some improvement, my scores weren’t high (I could tell that high/low difference). 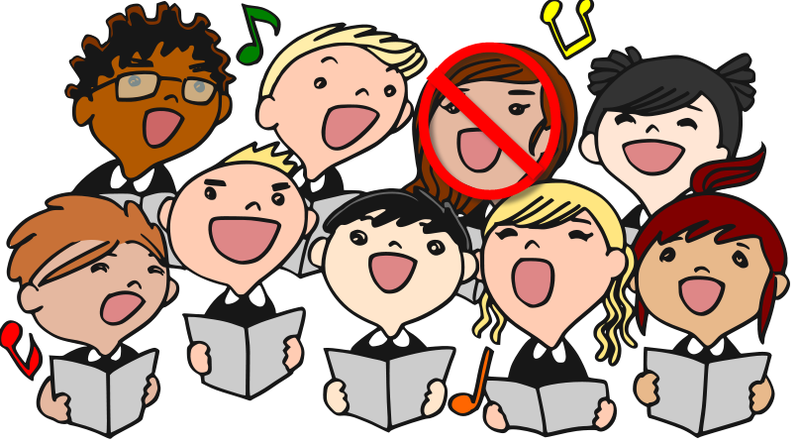 What came first: the singing disability or the disability teaching? Could I have learned, if given the opportunity, to sing a least a few bars in tune? Could I still be taught? It has sometimes crossed my mind that singing lessons could be an interesting experiment. I do love music and perhaps, one day, I will go for it and find out the truth about my singing ability. Perhaps I will learn to sing and fulfill the dream “to teach the world to sing in perfect harmony”. But for now, the experiment will have to wait, I have other things to learn. Can everyone learn to sing? Is it a human right? Could my singing ability really be a “golem effect”? What disability have you learned, if any? As a parent or teacher, how do you ensure your children do not suffer from a learned disability? You can read more from Anne or Caroline by clicking on their names. This entry was posted in Affirmations, Early childhood education, Education, Self esteem, Twitter and tagged Affirmations, Anne Goodwin, Caroline Lodge, early childhood, encouragement, golem effect, negative, positive, Pygmalion effect, Singing, Twitter on January 24, 2014 by Norah.